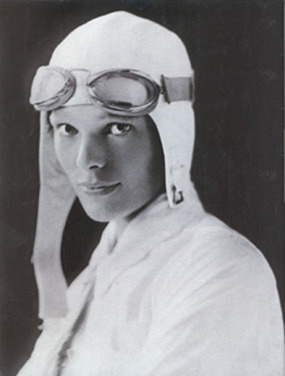 That year, once more flying her faithful Vega which she had tagged "old Bessie, the fire horse," Earhart soloed from Los Angeles to Mexico City on April 19. The next record attempt was a nonstop flight from Mexico City to New York. Setting off on May 8, her flight was uneventful although the large crowds that greeted her at Newark, New Jersey were a concern as she had to be careful not to taxi into the throng. This complicated flight in her second Lockheed Vega occurred in adverse weather conditions and demonstrated Earhart's courage as well as her stubbornness. She followed that flight with two more first solo flights--one on April 19-20 from Los Angles, California, to Mexico City, in 13 hours, 23 minutes and the second on May 8, 1935, from Mexico City to Newark, New Jersey, in 14 hours, 19 minutes. 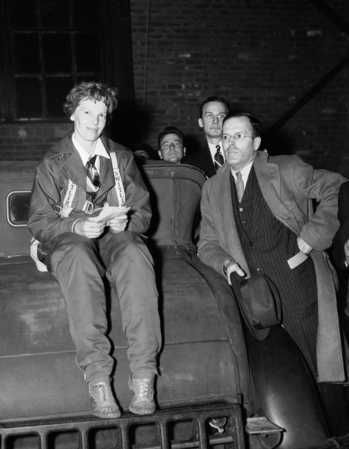 Earhart became the first pilot to fly solo the 2,400 miles from Hawaii to California, then added to her feat by flying from Los Angeles to Mexico City, and then Mexico City to New Jersey. Later that year, she became the first person to fly solo from Los Angeles, California to Mexico City, Mexico by official invitation from the Mexican Government (April 19-20) and became the first person to fly solo from Mexico City to Newark, New Jersey (May 8).